Summer extends from Apr. to Jun. (25°C to 46°C), Winter from Oct. to Mar. (3 °C - 30°C), and Monsoon from Jul. to Sep. (25°C to 35°C). Throughout the year, though the best climate is experienced from Sep. to Apr. 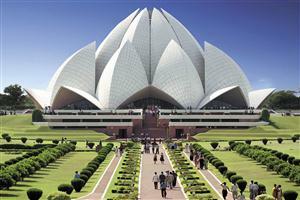 Delhi, the capital of the world's largest democracy, is not one city—but seven cities, says the tradition. 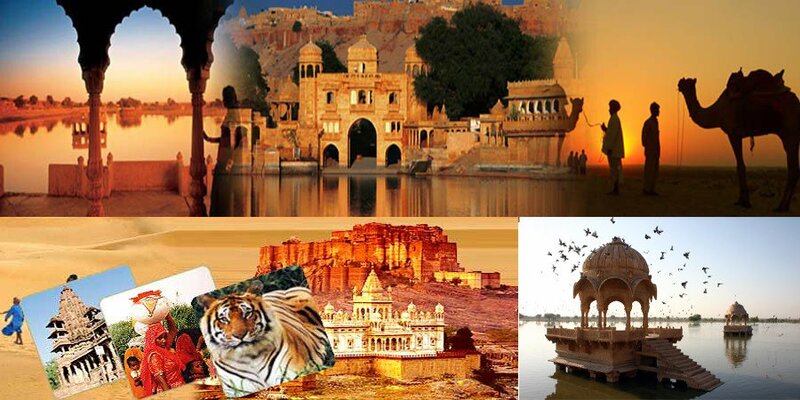 From the time of the Pandavas, the victorious brothers in the Mahabharata war, who made it their capital around 1500 B.C.- the city was then known as Indraprastha. The city has been rebuilt seven times, in seven different ages. 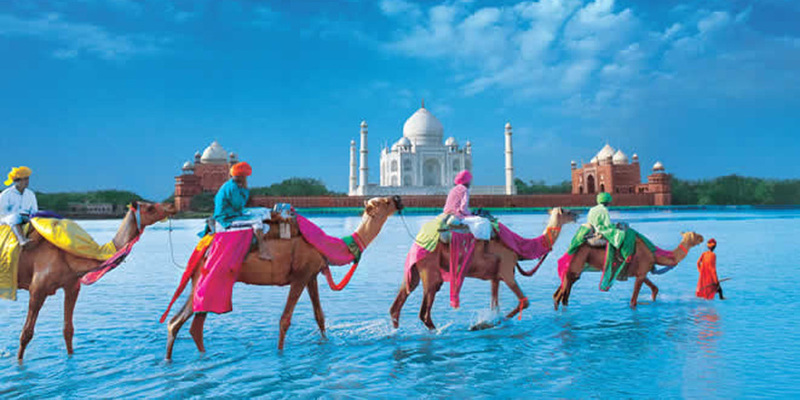 The seventh reconstruction had been carried out by Emperor Shah Jahan (the builder of Taj Mahal). 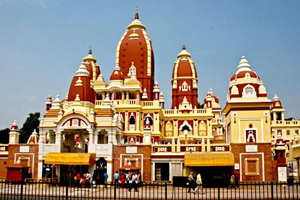 He had named it Shahjahanabad, after completing its work in 1648. Posterity, however, remembers his city as Old Delhi. 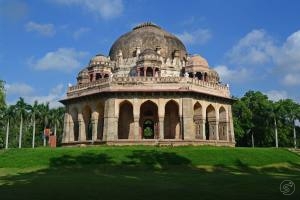 Just as Delhi and its surrounding areas are dotted with monuments, so also the past of Delhi is dotted with numerous memorable events. Battles have soaked its earth with the blood of many a race; shouts of triumph and cries of defeat have rent its skies umpteen times. Its dust contains the vestiges of innumerable ancient monuments, some ravaged by time and some by hordes of invaders who plundered it time and again. 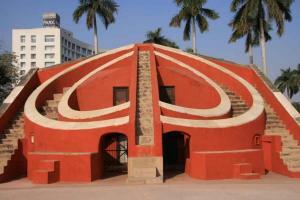 How did this ancient Indraprastha assume the name, Delhi? 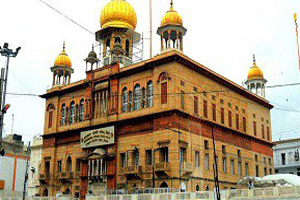 A legend says that it owes the name to a legendary king, Dilli. But an elaborately organized story gives a different account. 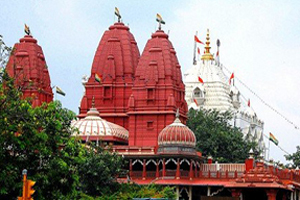 Delhi is situated exactly on the hood of the mythical serpent, Vasuki, who supports the earth. A certain king desired to check its veracity as described in some ancient holy works. He got a long iron pole made and sunk one end of it down---till it had touched the serpent's hood. In fact, it pierced through the hood and transfixed it. 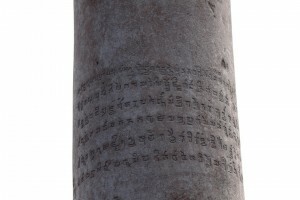 Ages later another king decided to see the length of the pole. He drew it out and to his amazement saw blood dripping from its dug out end! Once the pole bad been taken out, Vasuki was free to move its head. The area of earth on its head felt the impact. It grew loose. 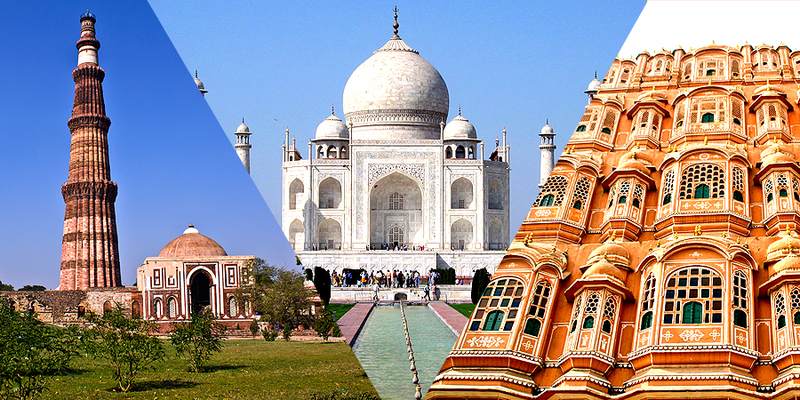 The Hindi for 'loose' being ‘Dhila’ or ‘Dhili’ the area came to be called so—till the English spelt it as Delhi! 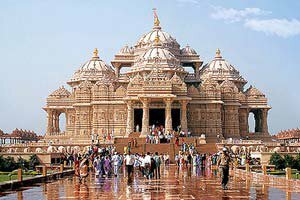 However, from Indraprastha, built by Maya Danava—the mythical demon architect—to the Delhi of today built by so many including Edwin Lutyens (the principal architect of New Delhi), the way has been very long. The names of a number of kings, some legendary and some historical, are associated with it. We will discuss some of them when we focus on the monuments that bear their memory. 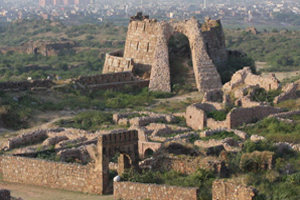 Near Qutub Minar can be seen the remains of a citadel called Lal Kot, supposed to have been built by Rajput king Anangpal. From his dynasty the region passed on to the Chauhans—Prithviraj, who was the last Hindu king of Delhi. choose her bridegroom from an assembly of invited princes, by garlanding the one of her choice--but Prithviraj was left out of the list of invitees. Not only that, as Chand Bardai, the court poet of Prithviraj, tells us, he made a statue of Prithviraj and placed it at the entrance to the palace like a watchman. The dauntless princess cut straight through the regal assembly and garlanded her lover's statue! From the crowd outside the gate stepped forward the gallant Prithviraj. He took hold of the princess and, before anyone realized, had helped her hop onto his horse and both galloped away. 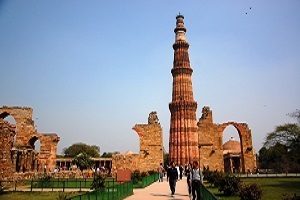 By then the fame of Delhi as an inexhaustible mine of wealth had spread far and wide resulting in a series of invasions. Prithviraj routed the army of the Turkish sultan, Muhammad Ghori, took the sultan prisoner, and sent him back home obliging him to wear a lady's outfit—gold bangles. While Ghori was thus sulking under humiliation, he joined hands with Jaichandra and in a fiercely fought battle defeated and killed Prithviraj. Samyukta set herself ablaze and died; so did her maids. This was in 1192. Jaichandra, of course, was betrayed by his ally. The very next year Ghori killed him and captured his kingdom. 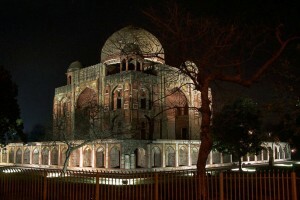 After Ghori, one of his viceroys, Qutub-ud-din, ruled Delhi. He was originally a slave. His dynasty became known as the Slave Dynasty (1206-1290). 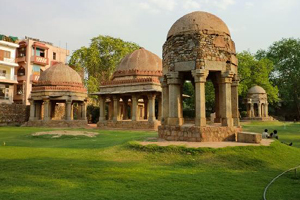 A remarkable lady who ruled the Delhi sultanate for four years belonged to this dynasty. She was Raziya. Her father, Iltutmish, while dying, declared her as his successor, instead of his son, for he knew her ability. Indeed, she proved kind and capable. But the nobles disliked being ruled by a woman. They revolted under the leadership of Altuniya. In a dramatic bid, Raziya tried to win Altuniya's love and succeeded. She married him, only to fall, along with him, to the swords of the adversaries in 1240. 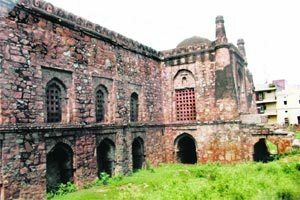 The Slave Dynasty was put to an end by	Jalal-ud-din Firuz Shah, whose father had been executed by Kaikubad, the last of the Slave sultans. Jalal-ud-din accomplished the feat by murdering Kaikubad. 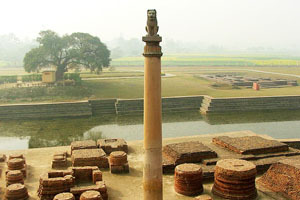 The Dynasty he founded is known as the Khilji Dynasty (1290-1320). 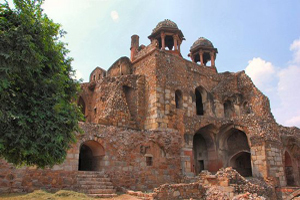 The last of the Khiljis was beheaded by Ghiyas-ud-din Tughlaq who began the Tughlaq Dynasty (1320-1413). The fall of this dynasty was hastened by the invasion of the cruel Timur (Tamerlane) of Samarkand. 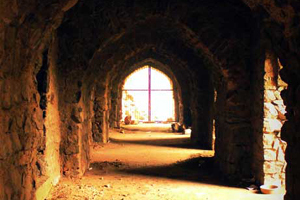 Sultan Muhammad Tughlaq tried to check his advance but in vain. Timur massacred 1,00,000 adult males, his prisoners, in cold blood, and then stayed in Delhi for a fortnight letting his soldiers plunder the city, and returned home becoming the richest man of the time. 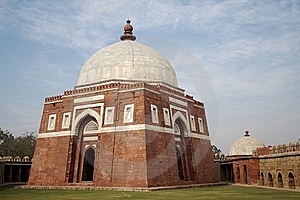 After the death of the last Tughlaq, the Sayyids and the Lodis ruled Delhi from 1413 to 1528. Then came Babur, a descendant of Timur, the founder of the Mughal Dynasty. The first six of the ninteen Mughal rulers—Babur (1526-30), Humayun (1530-56), Akbar (1556-1605), Jahangir (1605-27), Shah Jahan (1627-58), and Aurangzeb (1658-1707) are famous as the great Mughals. They went on expanding their empire which, by Aurangzeb’s time had come to be comprised of almost the whole of the Indian subcontinent. The Mughal period was eventful in many ways. 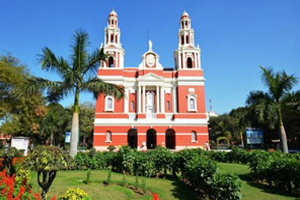 Their architectural achievements and monuments of significance will claim a great part of the tourist's itinerary. It was during Jahangir's rule that a messenger of King James I of England visited the Mughal court in 1608. He was followed by Sir Thomas Roe in 1615 who managed to obtain the emperor's permission for the East India Company setting up factories in India. Thus the way was paved for the British rule in the country. In 1738—by that time the Mughal Dynasty had fallen into a pitiable state—Nadir Shah of Persia invaded Delhi. He killed 30,000 citizens and made a bonfire of a large area of the city. 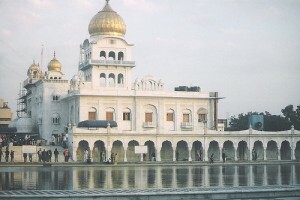 His loot included the famous Peacock Throne, 1,000 elephants, 7,000 horses, 10,000 camels, loaded with plunder, a bevy of charming women chosen from the Mughal harem, and 300 talented architects and craftsmen. Nadir Shah was still not satisfied. He was looking for the legendary diamond, Koh-i-noor. The Mughal, Muhammad Shah, who then sat on the throne of Delhi and who was trying his best to please the brutal conqueror, had kept the diamond hidden in his costly turban. At the moment of departure the crafty Nadir embraced the Mughal and proposed that they exchange their turbans as a mark of friendship. The Mughal looked on helplessly as the turbans changed heads. One of Nadir's soldiers who had gloated over his master's booty became a chief in Afghanistan after Nadir's assassination. 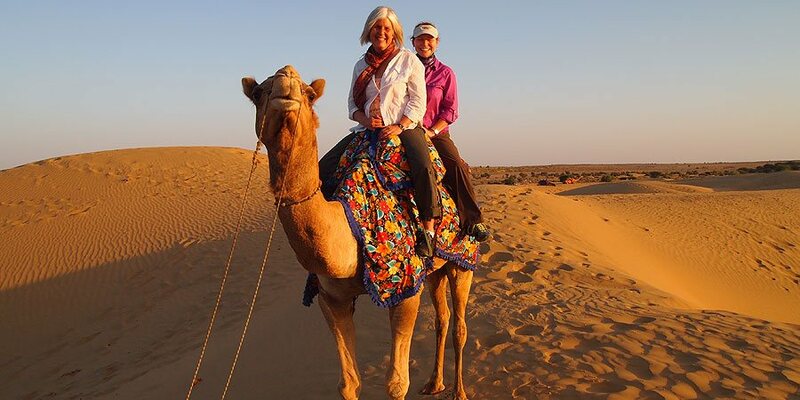 He was never tired of leading expeditions to India. In 1757 he struck Delhi and conducted a pillage that was as thorough as his master's. While the Mughal empire was disintegrating, the British power was boosting. At last they captured Agra and Delhi in 1803. 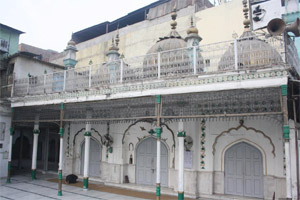 Shah Alarm, the reigning Mughal, virtually lived as their prisoner till his death in 1806. His son, Akbar IL was permitted to be called 'Emperor'. In 1857 the historic uprising took place which the British called the Sepoy Mutiny, against the East India Company. The British deported the last Mughal, Bahadur Shah Zafar II, to Rangoon, accusing him of complicity with the mutineers. He died in 1862. That was the end of the Mughal Dynasty. However, some of their descendants are still living, poor and forgotten. 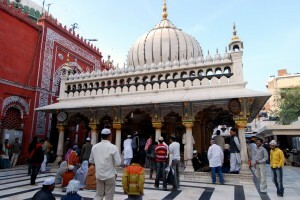 A famous saying is attributed to Saint Nizamuddin. When Sultan Ghias-ud-din was entering Delhi after an expedition to Bengal, the saint said, Hanuz Delhi dur ust, meaning, "Delhi is still far!" 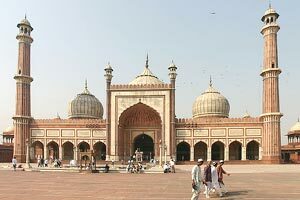 Soon a huge pavilion, constructed to receive the Sultan, collapsed on his head and killed him. Delhi remained far for him. And Delhi remained far for many an aspiring invader or prince. 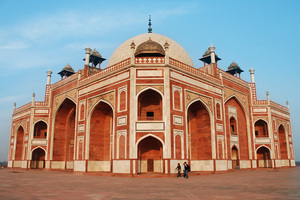 The real Delhi —the symbol of the highest mundane glory, perhaps slipped through the fingers of many who even arrived there! 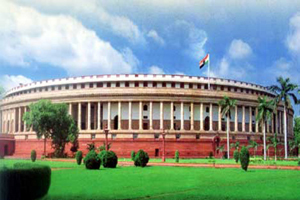 In 1858, the government of India passed on from the East India Company to the British Crown. Calcutta became India's capital. 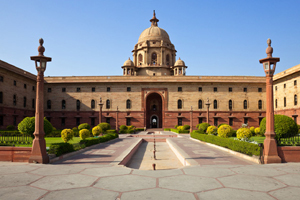 Delhi's lost glory was restored to it in 1911 when King George V held a Durbar here and announced that Delhi was to be the capital of India thereafter. 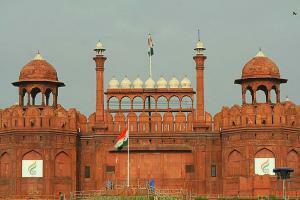 Through its chequered history Delhi reached 15 August 1947— when India became independent. It is on the rise ever since. The two worlds of the city, the Old and the New, in fact form a grand synthesis, as natural as the coexistence of night and day, one enriched by the other's splendors. We shall now tell you about the monuments and places of interest. We could very well draw for you a sequence, placing the spots in order as you should see them one after the other. But our survey shows that any such order is unrealistic, for, much will depend on time available to you, where you stay, and your interest. Hence we put them in an alphabetical order.